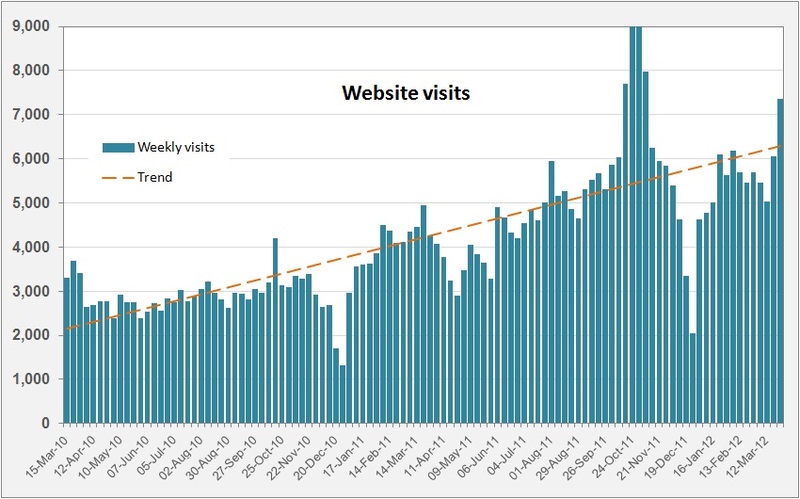 This Feed-in Tariffs website hosts an average of over 6,000 visits weekly, from people looking for advice on the UK’s FITs scheme. Despite the regulatory uncertainty, this number has increased steadily – peaking at times of official announcements, and dipping in holiday seasons. Many of these visitors are looking for installations. Our referral service is designed to introduce them to quality suppliers. We will refer customers to typically three system suppliers from our register. This register will list only companies accredited for the MCS and registered under the REAL code, without a record of frequent complaints. The latter two will be selected in rotation to ensure a fair distribution of referrals to all our registrants. We charge a modest annual registration fee, plus a fixed fee for each referral. The level of these fees is designed to ensure that this marketing cost amounts to no more than 4.5% of the gross margin you would expect to achieve, as detailed here. It is linked to tariff levels so automatically decreases in line with degression.